Sharon Power Choice is being designed so that it increases the amount of renewable energy in the Town’s electricity supply. Reduce greenhouse gases. Energy generated from renewable sources, such as the sun and wind, does not create the greenhouse gases that cause climate change and does not pollute the air. Support New England-based renewable energy projects. The Town will prioritize buying renewable energy from New England-based renewable energy projects. By creating additional demand for the electricity generated by those projects, Sharon Power Choice will help to support existing projects and stimulate the development of additional projects. Support local businesses and local jobs. Purchasing renewable energy from New England-based projects means supporting New England-based businesses and the jobs they provide to local communities. As a result, a separate system has been created to keep track of renewable energy and to allow it to be bought and sold. That system tracks electricity put into the grid using renewable energy certificates, or RECs. Every time a renewable energy project puts 1 megawatt-hour of electricity into the grid, 1 REC is minted. That REC can then be sold. Purchasing a REC gives you, and no one else, the right to say you used the electricity from that renewable energy project. Anyone who wishes to purchase renewable electricity must then purchase 2 things: they must purchase the electricity itself from the grid, and then they must also purchase RECs that equal the amount of electricity they use. (These two costs are often bundled together, and they are why renewable energy costs a bit more.) Whoever buys RECs has the right to say they used the electricity generated by the associated renewable energy projects. Those RECs are then retired so that they cannot be purchased by anyone else, and no one else can claim to have used that electricity. 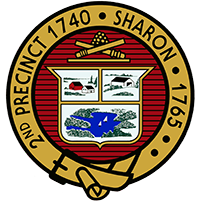 Sharon Power Choice will purchase RECs in order to integrate an increased amount of renewable energy into the Town’s electricity supply. No one else will be able to claim the energy associated with the RECs that Sharon buys. Sharon Power Choice will integrate additional renewable energy from New England-based projects above the minimum required by the state in the year of program launch. Renewable energy is energy generated by sources that we won’t run out of (that can be renewed) like the sun and the wind. This makes renewable energy different from sources that we can run out of, such as fossil fuels. There is a limited amount of fossil fuels on the planet, and once we use it, it’s gone.